All you need to do is log in to your Facebook account and grab your account ID for the right account. 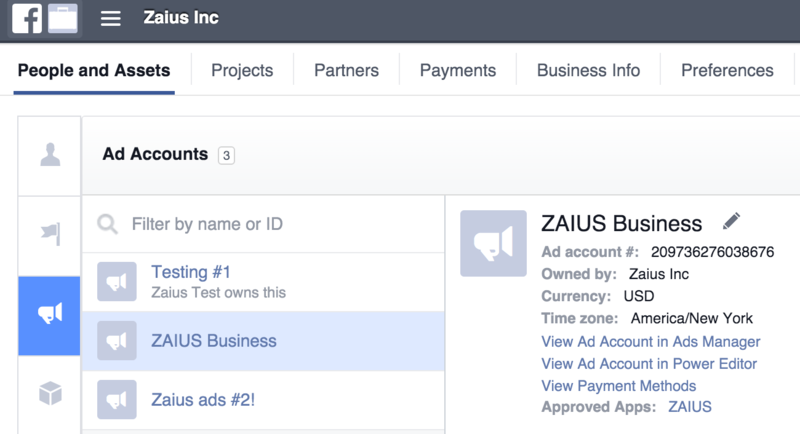 Currently only one Facebook account can be synchronized to your ZAIUS account. Click "Activate" and you'll be ready perform a Segment Sync to your Facebook account!! Capture you account # here!